Hosting a school trip means you’ll need transportation – let Sun Travel help! 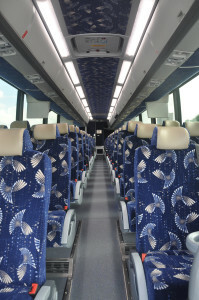 Sun Travel is proud to serve schools in the Southeast Texas and Southwest Louisiana region. Our drivers exceed the very highest safety standards required for School Pupil Activity Buses (SPAB), which is why so many public and private schools count on us for safe and efficient school trips. Trust Sun Travel to provide safe transportation to field trips, grad nights, band trips, academic decathlons, and sporting events. We understand the level of responsibility placed on us to carry your most precious cargo! At Sun Travel, we guarantee safe travels and exceptional service at an affordable price.